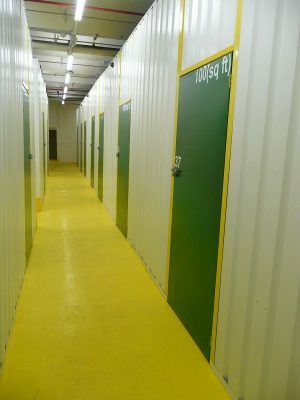 Here’s a random fact for all you self storage buffs out there (‘cos they do exist, right..?) …. Did you know that the UK is home to almost 50% of all self storage space in Europe? In fact, according to a report by the Self Storage association (UK), British people are renting four times more space than their counterparts in France, and ten times more than those in Germany! The report demonstrates that occupancy rates are still increasing every year too, as consumers and businesses alike seek flexible space to rent. This is despite the fact that overall lettable space is also increasing, which shows that demand is still growing faster than supply. So why is this? Why do people take out self storage units? A survey of users by SSA (UK) highlighted that the most common reason given for taking a unit is a lack of room or a need to create more space at home (51%), followed by 21% saying they are between properties. So who are these people? Well apparently nearly two thirds of customers are aged between 40 and 65, and more than three quarters and between 35 and 70! This could in part be attributed to the fact that Millenials are settling down later in life, in terms of establishing more permanent relationships, having children and moving from rented to permanent residences. These life-changing moments are often a catalyst for people to use self storage facilities, so I guess that would make sense. Of course it’s not just personal customers who use facilities such as ours – thousands of businesses launch every year in UK self storage units, using them to store their stock or their files, so they really are a very versatile and useful tool for many different people. So, whatever your requirements – whether you need a tiny unit to store some business files, or a large space to store all of your household furniture while you move house, give us a call or pop in to see us! One of our team will be happy to show you around and answer any questions you may have. And with prices starting at just £4.00 + VAT per week, what have you got to lose?